We all like the idea of good things in sensibly sized packages. 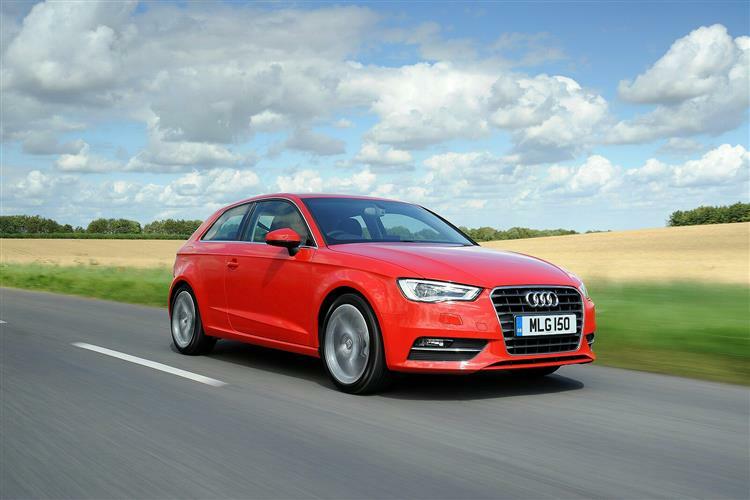 Perhaps that's why Audi's A3 has been so successful here, a compact car that goes large on quality, refinement and maturity. Especially in third generation guise, where it's lighter, more efficient, more powerful and cleverer than ever before. Which is just as well given that there are Volkswagen Group products using many of the same ingredients and plenty of tempting high profile segment rivals. In other words, this MK3 model will have to work harder than ever to win sales on the used car market. Fortunately for Audi, it seems well up to the task. Let's check out the original version of this car, produced between 2012 and 2015. The premium compact car. If that concept means anything to you, then it's this model, Audi's A3, that'll probably come to mind. This is the third of three generations in a line that dates all the way back to 1996 and a time when the idea of being able to move a car up-market in class and appeal without increasing its size was new and rather different. Cynics dismissed it as a way of dressing up ordinary family hatches and charging a lot more for them. Customers though, loved the idea and by the time the second generation A3 arrived in 2003, BMW and Mercedes rivals had also arrived to swell the market. Neither of these brands though, could overtake Audi - for reasons partly of their own making. BMW's original 1 Series was hobbled by curious looks and the rear seat packaging restraints of rear wheel drive, while the Mercedes A-Class was less sporty hatch and more tall, tiny MPV. The result was that nearly a quarter of a million MK2 A3s were pounding global roads by the time this third generation model arrived in the Autumn of 2012 - to find a much tougher market awaiting it. By this time, both the 1 Series and the A-Class had developed into cars with more widespread appeal and Lexus, Alfa Romeo and Volvo were all fielding fine premium compact alternatives. Critics too, continued to carp that the increasing excellence of an ordinary Focus or Astra family hatch made cars of this kind unnecessary. Audi's response was very Vorsprung Durch Tecknic, a subtle new suit disguising the revolution beneath the bodywork that was the first outing of the Volkswagen Group's all-new MQB platform. Stiffer and more cost-effective to produce, it promised better ride and handling and freed up funds for the installation of an interior with quality and technology previously unseen at this price point. The result, we were promised, would be the definitive compact premium car, something that was duly delivered when the model hit the showrooms. The three-door hatch version debuted first, followed a few months later by a five-door 'Sportback' hatch version. A Saloon model arrived in 2013, along with an S3 hot hatch version. 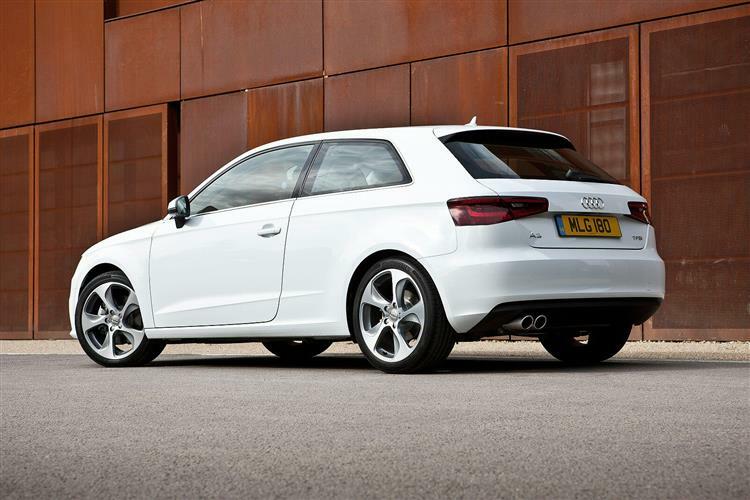 A pretty Cabriolet model was launched in early 2014 and in 2015, the super hot hatch RS3 variant made its debut. Audi thoroughly revised the entire A3 line-up in the Summer of 2016, smartening up the looks and adding in the clever 'Virtual Cockpit' instrument binnacle as an option. For many years, ultra-lightweight construction has been one of the strongest pillars upon which the Audi brand is built. Ingolstadt has, after all, been building cars out of aluminium since 1994. Though this one's mainly made out of steel, in this respect, it's as revolutionary as any model the marque has made, a premium compact hatch that weighs the same as a supermini, 80kgs lighter in third generation form than it was previously. That's equivalent to losing the weight of a fully grown adult, with benefits you can readily imagine in terms of performance and efficiency. So consider that before voicing the first reaction that most have to this third generation A3: which is, quite simply, that it doesn't look much different to what went before. That isn't really true anyway, something you don't properly realise until you park this new model next to its predecessor, an experience that's like looking at a film starlet when she was ten years younger, the newer model simply tauter and prettier. With the three-door version, you get a design that makes particularly effective use of what Audi calls a 'tornado line' to visually press the car down onto the road, this a sharply drawn crease beginning at the headlights and extending in a curve over the wings, doors and side panels to the tail lights. It's there perhaps, to distract your eyes from the fact that this car occupies a roadway footprint that's little different from what went before. Despite this, a wheelbase stretch of 23mm still enables the designers to boast of extra interior space. The five-door Sportback model has a bigger wheelbase still, so that's the variant to choose if you'll regularly be using the back seat. Even in the three-door model, this rear bench can just about seat three adults but, as is inevitably the case with this class of car, two will be much more comfortable. What's certainly not in doubt is that there's a little more room inside than there was before, especially with regard to headroom. 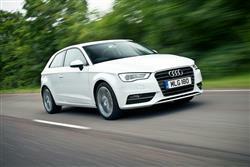 Owners used to the previous generation A3 will also find significantly more room in the boot, which in the three-door variant is 15-litres larger at 365-litres, a figure that rises to 380-litres in the Sportback model. You've a more versatile trunk space than before too, thanks to a neat floor that can be re-positioned at different levels, depending on the height of the load you have to carry. There's also a space beneath the cargo area for smaller items and extra functionality promised by useful options like a load area organiser (to separate your eggs from your Iron Bru), a ski hatch and a reversible load mat with a tougher side for boots and muddy dogs. Plus of course, as usual, you can push forward the split-folding rear bench for extra capacity - in the case of the three-door, as much as 1,100-litres. For the larger Sportback, that figure rises to a useful 1,220-litres. What sets this car apart though isn't its practicality. No, it's the feeling you get from sitting behind the wheel. Quite simply, nothing else from this era in the premium compact hatch class can match it, the cabin dominated by an electrically-extending 5.8-inch colour screen centrally positioned on top of the dash. Via this, you can marshal the many functions of a redesigned MMI infotainment system that prevents all but the most vital controls from cluttering up the minimalist dashboard. Just as distinctive are the four air vents, styled to look like miniature jet engines and made up of no fewer than thirty individual parts including bright metal outer rings that are shaped for perfect grip. Otherwise, you've an interior that'll be familiar fare to anybody who speaks fluent Audi design language, everything clear, classy and easily accessible. The instrument panel's styled in a wing-like profile and an electric parking brake switch replaces the traditional - and preferable - handbrake lever so as to free up space for the MMI infotainment system controller by your left hand. Ultimately, what it all adds up to is a cabin that wouldn't be out of place on a car costing twice the price. And how many models of this kind can you say that about? Exactly. Don't get us wrong, very little goes wrong with typical third generation A3 models, but there are a few rogue examples floating around in the market. Oil sump failure in 2.0 TD diesel variants was the most regularly reported issue we came across as part of our customer survey, this engine also sometimes exhibiting loud turbo noises too, so listen for that on your test drive. 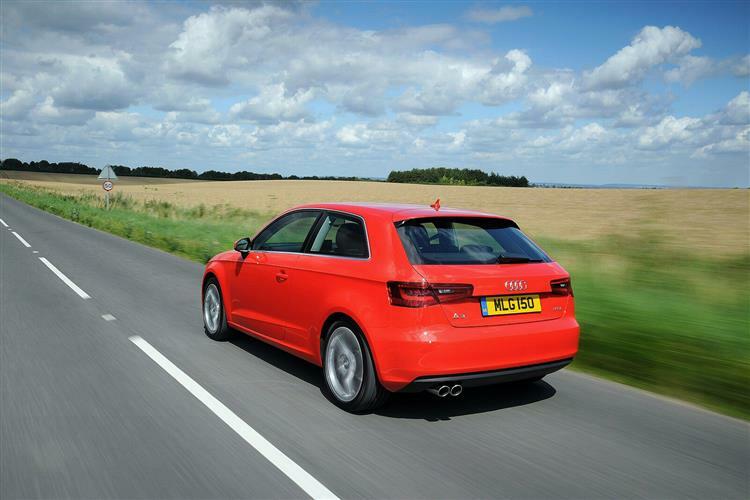 The 1.4-litre TFSI petrol variant has also occasionally faltered too. We came across a couple of owners complaining of a 'whooshing' noise with this powerplant in 120PS form which is apparently due to vacuum hose issues and a vibrating actuator rod. Across the A3 range, other issues we came across that you might want to look out for included a random lumpy engine idle, a faulty coolant expansion tank, worn wheel bearings, warped rear brake discs and sticking rear brake pads. Also look out for a crunchy gear change between 1st and 2nd gear, plus faulty turbo hose seals, motor brushes in the small radiator fan that get stuck and suspension drop-link ball-joints that are worn out. Less serious issues we came across included windows creeping open, alloy wheels corroding badly, broken parcel shelf lifting tabs, issues with the central locking mechanism, loose door handle outside trim bits and constantly high levels of humidity in the car after being parked up. Also listen out for a rattle from areas like the driver's side B pillar, dash vent and glovebox area - and watch out for A3s that require you to heavily slam the boot door to close it. (approx based on a 2013 A3 2.0 TDI) An air filter will be priced in the £14 to £20 bracket, an oil filter will sit in the £8 to £11 bracket and a fuel filter will be around £5, though go for a pricier brand and you could pay as much as £25 for one. A timing belt will be around £45 and brake discs we came across sat in the £42 to £62 bracket, with pricier-branded discs costing between £72 and £84. Wiper blades cost in the £10 to £25 bracket, but you can pay up to £40 for a pricier brand. You might not get very excited by the thought of a redesigned automotive platform but Audi does. With good reason. Because this car's MQB (or Modular Transverse Matrix) underpinnings have also to support everything from a Volkswagen Golf to a SEAT Leon, an awful lot of development budget has been thrown at getting them right, the by-product of which for A3 drivers should be better ride, handling and a whole lot more. By and large, that's exactly what you get. First up, because a lot of the stuff you can't see is lighter than before, the car immediately feels more lithe and agile than you expect, even on a short drive. True, real driving enthusiasts will still prefer the rear wheel drive reactions of a BMW 1 Series or the fine front-driven tactility of a Ford Focus. But everyone else will probably enjoy this Audi just as much thanks to lovely technical touches like the way that an electronic limited slip differential is built into the stability control system so that the car turns more sharply into bends. And the beautifully calibrated multi-link suspension that enables the car to flow fluently though those corners while nonchantly soaking up the bumps in a way that perfectly complements this car's quite exemplary standards of refinement. On the subject of suspension in fact, sportier variants get lowered set-ups that personally, we'd council you to avoid. The standard system is fine but if you do want something more sophisticated, try and find one of the rare A3s that were specified with Audi's optional 'magnetic ride system'. This has clever magneto-rheological fluid-filled dampers that let you change the ride quality to suit the road you're on and the mood you're in. Wise winter drivers will also consider the merits of a variant fitted with the quattro 4WD system that'll certainly pay dividends in wet or icy conditions. You may though, be quite happy simply playing with the neat 'drive select' vehicle dynamics system, fitted as standard to all but entry-level variants. Via 'comfort', 'auto', 'dynamic', 'efficiency' or 'individual' modes, it lets you vary the throttle response, steering weighting and (where the S tronic dual clutch sequential transmission is present) the gearbox shift points to create exactly the kind of feel you're looking for. You'll find this auto 'box fitted to the180PS 1.8TFSI petrol model and it's a rather good one, a dual-clutch system able to select the next gear before you've even left the last one. 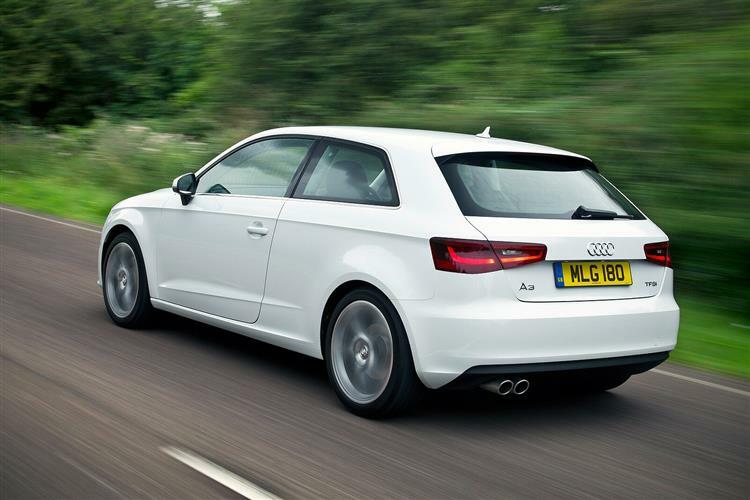 Most other A3s though, come fitted with a reasonably slick-shifting manual six-speeder. The auto option on the 1.8 certainly doesn't restrict its performance, rest to sixty-two mph occupying a fleet 7.2s on the way to 144mph. For those needing more, the 300PS turbocharged S3 hot hatch variant beckons, with its 2.0-litre TFSI turbo engine able to power you to sixty in just 5.1s. But these are minority choices. Almost all British A3 buyers will choose either a 1.4-litre petrol variant or one of the diesels. Before talking TDI though, we want to point out that a pretty hefty slug of diesel frugality can be achieved more cheaply from the green pump courtesy of Audi's clever CoD, or 'Cylinder on Demand' technology. In this original MK3 A3 range, they fitted it to the pokier of the two 1.4-litre petrol TFSI models, that with 140PS, and it's capable of seamlessly shutting down two of the four cylinders at low-to-medium engine speeds. The result is a combined cycle fuel figure of nearly 60mpg that belies the spirited performance, a combination of virtues that's difficult to argue with. The lower powered 122PS 1.4 TFSI model gets none of this cleverness but still manages to stack up reasonably well on the balance sheet, as does the entry-level 1.2-litre petrol variant. As for the diesel derivatives that over 70% of British buyers will choose, well, there are two main ones: a 1.6 TDI that in its original 105PS form makes sixty two mph from rest in 10.7s on the way to 121mph. An uprated 110PS version of this unit was introduced in 2014. Above it, there's an altogether more satisfying 150PS 2.0-litre TDI diesel powerplant that improves those figures to 8.6s and 134mph while remaining almost as clean and frugal. Should this 2.0-litre diesel engine's performance be insufficient, then you can choose it in pokier 184PS form. In the search for a compact car that's also a premium purchase, there are more charismatic choices than this Audi A3. But there are few better ones. Light in bulk, heavy in technology, it's a logical evolution of a breed that's long been one of Britain's favourite company cars. If you're one of those who questions the need for a premium peoples' hatch, then in this Audi, you have your answer. From the outside, well, it's as home in Belgravia as it is in Brixton. Enough said. But the interior is where this design really strides apart. You could be in a luxury car. And of course, in many ways, you are. By pioneering the premium compact hatch segment with the original version of this model, Audi redefined the meaning of automotive luxury, democratising it without the desirability being diluted. Other brands claim to have done the same of course and many have used a few more visual or dynamic fireworks to grab the attention. 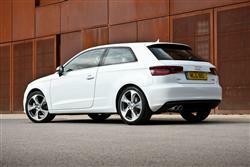 Ingolstadt doesn't think this A3 needs them and legions of loyal global buyers seem to agree. Cool, class-less and clever, it's desirably definitive.